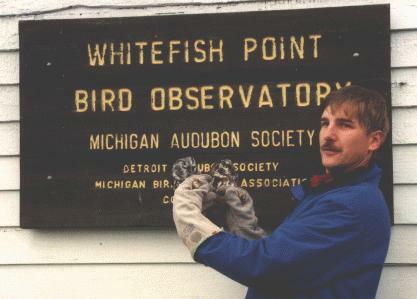 Bruce's favorite birding spot, Whitefish Point Bird Observatory, on Lake Superior, in Michigan's Upper Peninsula. Bruce is a life member here, and they could use YOUR support, too! � Click here. This picture was taken at the point. 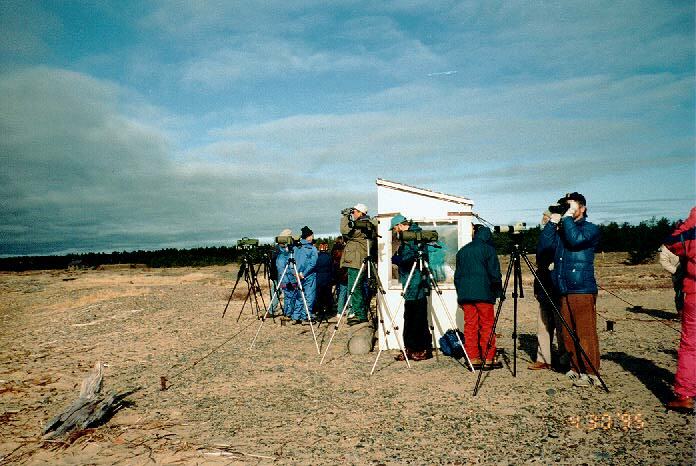 The waterfowl counter, left of the shack and standing on the log, is Louie Dombrowski. 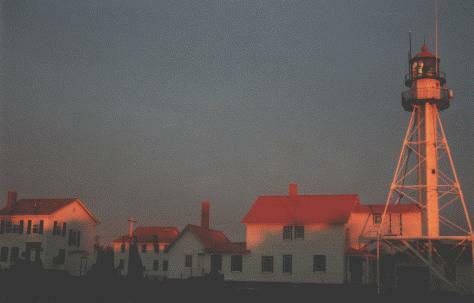 Here's the Whitefish Point Coast Guard Station at sunrise. 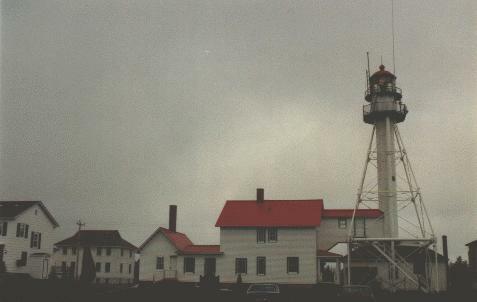 Another shot of the CG Station and lighthouse on a cloudy day. 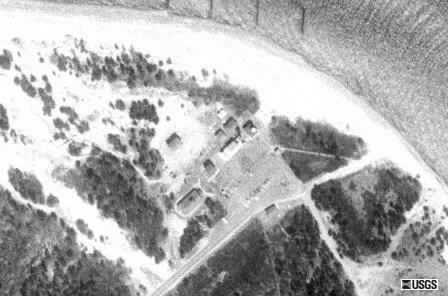 These buildings are now home to the Great Lakes Shipwreck Museum. One of the exhibits here is the ship's bell from the S.S. Edmund Fitzgerald. 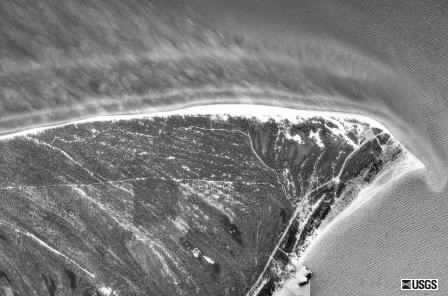 For a couple of aerial views of the point (courtesy of the USGS), click here - View of the point, or here - Closer view of HQ and parking area (you can even see some of the banding net lanes in this one. Use your "BACK" button to return to this page. 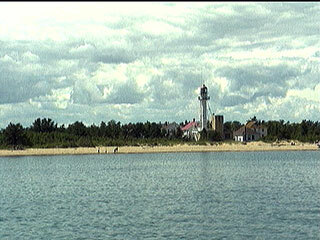 And here's a view of the light from just offshore. 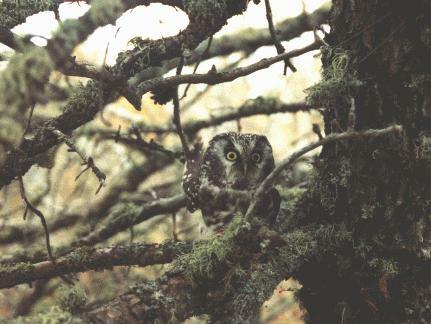 Here's one of the WPBO banding staff after a night of owl netting. He's holding a Northern Saw-whet Owl (Aegolius acadicus) in each gloved hand. Here's one of the little guys after release, safe in a Jack Pine. 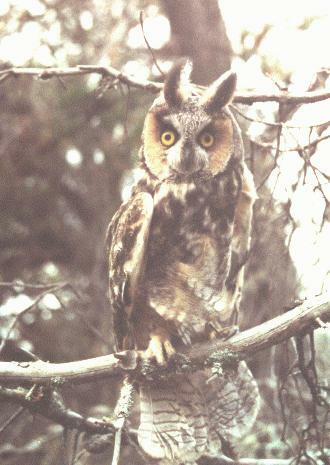 Here's a Long-eared Owl (Asio otus), also just released by the banders.